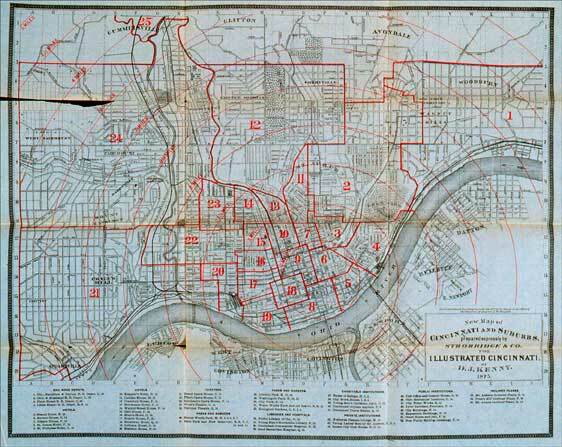 New Map of / Cincinnati and Suburbs. Engraving. 1875. 14&1/8 x 17&5/8 in (35.9 x 44.8 cm). Cincinnati: Strobridge & Co. Daniel J. Kenny, Illustrated Cincinnati: A Pictorial Handbook of the Queen City (Cincinnati: Geo. E. Stevens & Co., 1875), frontispiece. Rare Books and Special Collections Department.